Otix LED uplight. A small and discreet, recessed spotlight providing a warm light. This Italian made fitting has an adjustable optic. Made from aluminium with a brass, aluminium or steel flange. Available in a choice of finishes and a variety of beam angles and light output colours. A square version is also available. 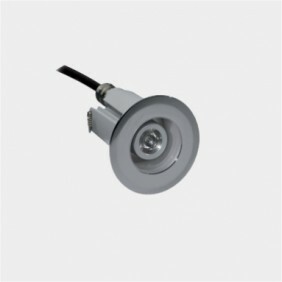 Suitable for various uplight applications including exterior. 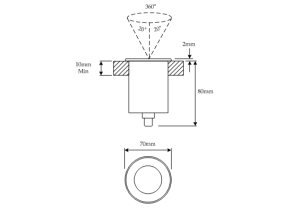 This fitting can be walked or driven over so is ideal for pedestrian areas or driveway. Supplied with retaining spring for false ceilings or a back box can be supplied for other applications.